In a little over a year, MoviePass has burned through the goodwill of its customers almost as fast as it’s burned through investor cash. But on Thursday, the company claimed it will be bringing back the one feature that made anyone care about its theater subscription service: Unlimited movies for a flat fee. 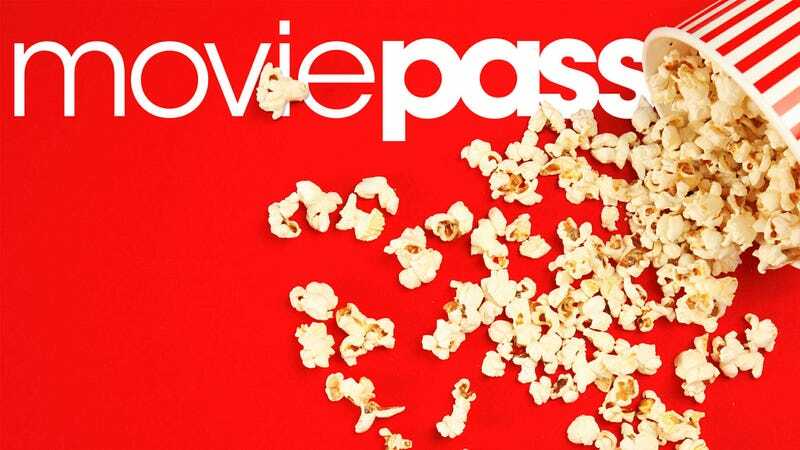 MoviePass has existed for eight years but most people had never heard of it until it introduced a radical new pricing plan in late 2017 that allowed subscribers to see a movie a day in a theater for $10 per month. At first, the biggest problem was that it wasn’t prepared to sign up so many people at once and didn’t have enough membership cards for everyone. As time went on, the problems overflowed. In the second quarter of 2018, it lost $100 million paying movie theaters full price for tickets in a long-shot hope that its data collection and user base would become extraordinarily valuable in the future. To stop the bleeding, it’s made countless changes to its pricing plans and which movies subscribers were allowed to see. In fact, it just implemented a new three-tiered pricing plan this month. The celebrate the new plan, MoviePass has a new-new plan that’s apparently kind of like the old plan. Khalid Itum, executive VP of MoviePass, told Variety that “some sort of unlimited program” that allows subscribers to go to all the movies they want will be back next week. Itum sat down to speak with Variety about a new marketing push that MoviePass is doing that’s designed to build a better relationship with theaters. It’s a glossy, high-profile print and billboard blitz that carries the tagline: “Let’s go to the movies.” Are you excited yet? No? That’s because no one could possibly care about that. I’m only imparting this worthless knowledge to explain that Itum didn’t elaborate on how much the new unlimited plan would cost or give any details at all. Maybe it just popped into his head right there on the spot. We have no clue and MoviePass did not immediately respond to our request for more information. After losing customers steadily, MoviePass says it has started to regain subscribers. It has also seen consumer sentiment improve. Prior to launching the new plans, only 44% of customers had a positive feeling towards MoviePass, according to data collected by NetBase. Last week, that rose to 59% of respondents having a positive view. “I feel like we’re turning a corner,” said Itum. The bottom line is you should probably watch out for a new unlimited plan next week if you loved the glory days of MoviePass subsidizing your filmgoing but it probably won’t be how you remember it. As we noted, MoviePass has been around for many years and it used to get by charging up to $50 per month for unlimited movies. That’s still a deal for some people but it’s also the cost of around eight Hulu subscriptions. Now that MoviePass has gotten a ton of very expensive publicity, it’s likely edging back towards its old ways. Itum also said that MoviePass plans to start offering its platform and technology to theaters so that they can launch their own subscriptions. This seems like the more realistic future when it comes to the Netflix-for-theaters business model. We’ll likely see the whole thing splinter into a bunch of little subscriptions and your local theater owner will offer what works best for them. Did you know MoviePass’s production company was nominated for an Oscar this week? Yep. Did you know MoviePass even has a production company? ¯\_(ツ)_/¯ MoviePass is throwing everything at the wall and seeing what sticks. If we get another great deal for a brief period of time, that’s great. But we’re insanely skeptical that this company will ever get it together.